When structured correctly, a daily pay benefit is one where the employee simply receives her earned wages with no recourse to the vendor. The operative word is “earned wages.” This means those funds are already hers, but haven’t yet been paid out by her employer. Like most benefits, it is important that the company remain compliant with the consumer finance laws to ensure its daily pay benefit does not lead to the company offering loans. How is the vendor paid back for advances? If the vendor is debiting from the employee’s accounts, then the program likely constitutes a loan. What happens if the employee doesn’t pay the vendor back? If the vendor has recourse to the employee (even if it chooses not to go after the employee), then the program likely constitutes a loan. Like all benefits, it is incumbent on the company (not vendor) to diligence all of the possible legal and compliance ramifications of offering a daily pay benefit. Even if it’s “technically” not a loan, you may want to pause before offering a program that involves a vendor taking back money from your employees. ...there are some best practices you should consider to ensure success of the roll out, and drive maximum adoption. The implementation process consists of basically three main stages: data connection setup, training and final QA. Each stage is divided into milestones with regular check-ins along the way. The flexible pay partner you choose should be ready to invest in your success. This investment typically includes personnel - an implementation specialist, and an ongoing success manager - who work in tangent to ensure a smooth implementation and helping optimize and measure the success of the program beyond implementation. At least one HR resource with full understanding and access to payroll provider and time management system as well as detailed knowledge of internal payroll processes and timings. The IT/Payroll/Time Management Systems team. Their working knowledge and admin capabilities of payroll provider and time management system, knowledge where data lies, how to create reports/exports from PP/TMS systems, and understands exported data. Ideally both teams and/or a dedicated person have strong project management skills to help drive the project, can communicate across (internal) teams and have the authority to make decisions. Accessibility and workload capacity during implementation are crucial for a successful implementation. Once you’ve identified the stakeholders, then you can follow a step-by-step process to complete and end-to-end rollout. These stages typically include data gathering and exchange, a project kickoff, launch prep and training, and multiple tests to ensure data is being passed correctly. If everything has been done correctly, then on launch day your success manager and implementation manager should be on call to ensure a smooth rollout to your employees. They should also monitor system usage and answer any questions that may arise. In recent years, employers have made a concerted effort to account for the financial wellness of their employees. Employees who feel financially secure are more productive, more engaged and less likely to leave their organization. As such, employers are finding new and innovative ways to cater to financial wellness, while still being mindful of their own bottom line. According to statistics from Aon Hewitt’s 2017 Hot Topics in Retirement and Financial Wellbeing survey, 92% of employers reported they are very or moderately likely to expand their financial benefits beyond retirement plans. One perk employers have begun to adopt is the daily pay benefit. As organizations unroll daily pay benefits more frequently, it’s becoming critical to create a process to measure the success of the new perk. These six steps can help anyone measure the success of their daily pay benefit. Daily pay services can improve an employee’s overall financial wellness, which has a host of benefits for both the employee and employer. Most employers who offer a daily pay benefit want to see a boost in employee engagement or productivity. The benefit is also often leveraged as a tool for recruiting and retention. Action item: What was your motivation? Set a goal and write it down. Something like: By offering a daily pay benefit, my goal is to reduce turnover by 45% within my organization. For a daily pay benefit to have the best chance of success, it’s vital to encourage adoption rates. Many organizations improve adoption rates by sending frequent reminders, arranging training sessions, and tracking individuals who have been reluctant to hop on board. Action item: Your daily pay benefit provider will typically track enrollment for you, but it’s good to keep your own internal numbers. Usually, a ‘healthy’ enrollment rate is 30% of your workforce and above. The success of offering instant access to earned wages relies on more than a high adoption rate. Measuring how often employees access the benefit is equally important. Determine how frequently employees log in to their daily pay account or withdraw funds. Next, determine how the frequency compares to other company-sponsored benefits. Which are used most often? Action item: Find a provider that makes it easy to track usage trend reports. Compare these figures to other internal benefits when possible. According to research by Employee Benefits, 11% of companies offer employee benefits to improve their bottom line. Remember setting a goal in step one? It’s time to see if a daily pay benefit helped achieve the goal. This is also the time to observe ancillary changes. Has the recruiting process become smoother? Is the workforce more engaged? A return may be quantitative or qualitative. Action item: The easiest way to track a return is through control groups. Let’s say your daily pay benefit is optional, measure the turnover rate of those who enrolled in daily pay benefits versus those who did not enroll. What do you use the benefit for? Has a daily pay benefit reduced stress or improved your overall financial wellness? What would you change about the benefit? Action item: Send your employees an eNPS or Pulse survey to see what they think about the daily pay benefit. A mix of data and information from steps one through five should help detail how well received the daily pay benefit has been. As a business changes and grows, it’s important to continue reviewing benefits and suppliers. What works today may need adjustments in the future. Action item: Review your benefit programs annually. Part of your review should include research on the current marketplace. Are there any new benefits that may fit your workforce closer? The Consumer Financial Protection Bureau (CFPB) defines four key tenets to define financial well-being. It is helpful to think of these tenets as a hierarchy of financial wellness needs. Having control over your finances. The first and most crucial tenet of financial wellness is being able to control your own finances. This means being able to pay bills on time, not having unmanageable debt, and being able to make ends meet. Capacity to absorb an unexpected shock. Secondly, it is important to have a financial “cushion” against unexpected expenses and emergencies. Having savings, health insurance, and good credit are essential to a strong financial well-being. Saving and Planning for the Future. Following the above, having financial goals—such as paying off one’s student loans within a certain number of years or saving a particular amount towards one’s retirement—and being on track to meet those financial goals is essential to feeling “in-shape” financially. Ability to make a discretionary purchase. The fourth and final marker of financial stability and wellness is the ability to make choices that allow one to enjoy life. This final step can be measured as having the freedom to take a vacation, enjoy a meal out now and then, or work less to spend more time with family. Just as in Maslow’s Hierarchy of Needs, these steps move from basic, necessary needs, to psychological, self-fulfillment needs. If steps (1) and (2) are not attended to, it becomes impossible to achieve true financial freedom and set oneself on course to achieve financial stability. Many financial services companies enable end-users to meet one or more of these needs, and can apply to a portion of the cycle described above. While a daily payment program can also contribute to steps (3) and (4), it is most significant in enabling employees to get started on the most essential steps in this process: (1) Control Over Finances and (2) Capacity to Absorb An Unexpected Shock. How Do Employees Use Daily Pay Benefits? We've created an eBook that illustrates how employees can use a daily pay benefit to get control of their finances and absorb unplanned expenses, like car trouble. With a daily payment program enabled, an employee can pay their bills on time, manage their debt, and truly make ends meet. They will also be able to access their earned income in case of an emergency, unforeseen health expense, and anything in between that necessitates emergency access to their income. With these essentials covered, an employee can make great headway in achieving financial freedom and stability. While many programs help employees with various steps in this process, a daily payment benefit clearly enables individuals to take the hardest, first and most essential steps in attaining financial wellness. According to the Bureau of Labor Statistics, 96.1% of Americans currently have a job. And yet, 69% of American adults have little to no savings and are living paycheck to paycheck. According the Federal Reserve, 47% of Americans would not be able to afford an unexpected $400 expense. And according to the Associated Press-NORC Center for Public Affairs Research, 75% wouldn’t be able to afford an unexpected $1,000 expense. Living paycheck to paycheck often means paying bills late or overdrafting one’s bank account. This is why Americans pay $34.3 billion a year in overdraft and late fees. Interestingly, this amount dwarfs the s already large $9 billion payday loan industry. How can we change the financial health of the American worker? People tend to incur a median overdraft fee of $34 on debit card transactions of $24 or less. The sad thing is they have the money to avoid these fees, but they’re waiting to be paid that money by their employers. After all, on average, banking customers who overdraft will deposit money to cover the charge within 3 days. That’s the equivalent of taking out a loan with a 17,000% APR. And that $34.4 billion is disproportionately thrust on low-income earners. About 8% of customers at the nation's largest banks incur nearly 75% of all overdraft fees. Due to the inflexibility of the payroll process, Americans find themselves paying approximately $1,000 in late fees every year. This represents approximately 7% of the average take home pay. A full 35% of Americans with credit files have debt in collections. Astonishingly, 25% of households pay one bill late each month. In 2017, underserved consumers spent $173.2 billion on fees and interest across five financial product categories. Lower-income Americans pay 3 times as much for a checking account due to the array of fees that are forced upon them. The most effective way to help American workers is to ensure that they have the ability to pay bills on time and avoid late fees. This is the equivalent of putting $1,000 back into your employees’ wallets every year. In addition, paying bills on time will likely have a beneficial impact on their credit and financial wellness, and thus reduce stress and distraction in the workplace. For example, if the mother of a newborn has access to an extra $44 each time she needs to buy diapers in bulk, she could save nearly $1,000 in a year vs. buying diapers in smaller quantities each time. Read Eleanor, Marty, and George & Rhonda’s stories in this eBook that illustrates how important a daily pay benefit can be to blue collar employees trying to make ends meet. We’ve compiled an eBook that illustrates how having instant access to earned wages could make a big difference in an employee’s financial wellness. Why can't we pay our employees daily? 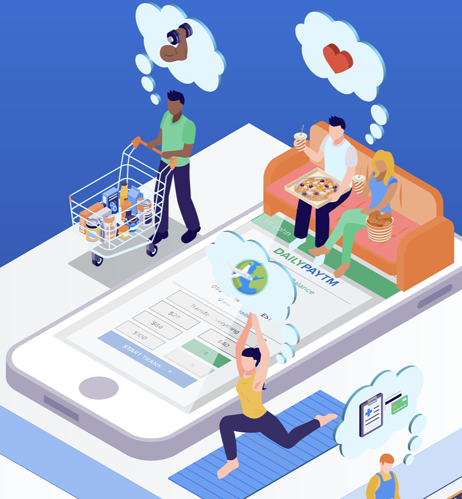 There are several versions of “instant pay”, and it has recently become a buzzy term with different meanings in the market. The original—and often times most common—reference is to how the gig economy companies such as Lyft, Uber, etc, pay their drivers. 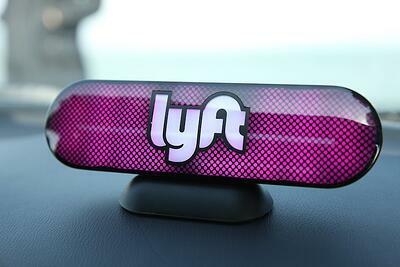 (For purposes of this article, we just Lyft as an example). It is often heard at payroll and HR conferences “Hey, Lyft pays their drivers daily. Why can’t we do that through payroll?” While this is certainly a reasonable question, there are distinct differences between a gig economy instant payment and a daily pay option for a traditional employee. (ii) the fee for the driver. In essence, Lyft never even sees the full payment for the ride. This is why “instant pay” for a gig economy worker is frankly quite simple. Payments are flowing directly from the consumer, to the credit card processor, and then to Lyft and the driver. It is one continuous flow of money. In the traditional employer context, daily pay is obviously materially more complex. There is no single payment from a consumer that flows straight through to the employee. Said differently, Lyft drivers earn a split of the ride fare. Conversely, your employees earn an hourly or salaried rate. In order for a traditional employer to offer daily pay, it must work with a vendor who can fund and remit the payment to the employee, since it’s not as simple as subdividing a credit card payment. Last thing—Lyft drivers receive 100% of their pay instantly. This is the standard and where the world is headed. There is zero chance that daily pay will stop at some threshold less than 100%. That would be like saying cruise control is the final step in driving automation. Even if you as an employer prefer not to offer the full 100% of wages to your employees, you should make sure you work with a vendor who can go up to 100%, should you have to change your mind later.